Louie Vega's latest album, ‘Louie Vega Starring…’ is a dual disc conceptual record featuring over 25 artists on 28 different songs. The new EPK video speaks to some of these collaborators about this special project in depth about their contributions and what makes Louie Vega such a unique artist. The record is Louie Vega’s first solo album ever and he is in esteemed company, with a seasoned group of collaborators of collaborators imparting their magic for this special project. These include, Funkadelic & George Clinton; The 3 Winans Brothers and The Clark Sisters; Jocelyn Brown; Nick Monaco & Soul Clap; N'Dea Davenport; Lisa Fischer; Cindy Mizelle; Anane Vega; Monique Bingham; Caron Wheeler (Soul II Soul); Josh Milan; Bucie; Tony Momrelle; Kaylow; Vikter Duplaix; Cassio Ware; Adeva, Covertion & Leroy Burgess; Kenny Bobienl; Zara McFarlane; Luis Salinas; Roberto Roena; Diviniti and Byron Stingily. 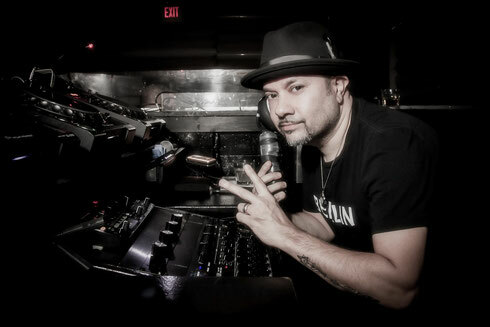 Best known for his work as Masters At Work and Nuyorican Soul, there was probably no bigger house music artist as Louie Vega as the genre hit its stride in the 1990s. He has continued to thrive and evolve since with countless timeless records now under his belt. By bringing together the diverse genres of house, funk, latin soul and gospel, Louie has created a record filled with positive vibes. Check out the great video below.